It was 1975. 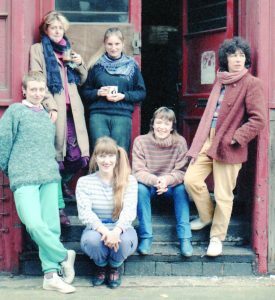 We were young professional performers, passionate about theatre and hungry for roles that reflected the richness of women’s lives. We were tired of plays that trivialised the female experience. 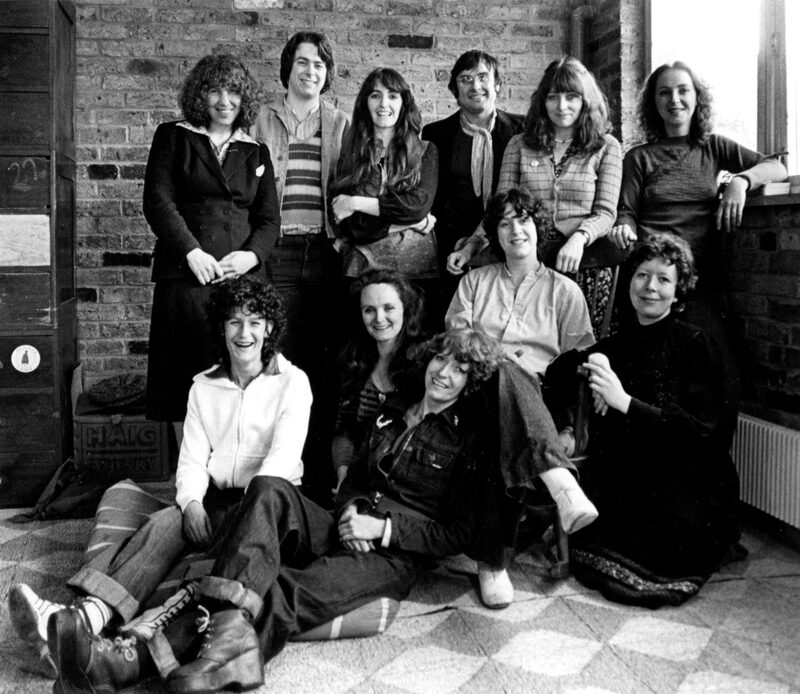 We had a vision: we wanted to make exciting political theatre that put women centre stage. We were Monstrous Regiment and we were marching to the beat of our own drum. We took control of our working conditions and the creative process and set ourselves up as a performers’ collective. All decisions and responsibilities would be shared; everyone would be paid the same. We threw the gender ratios of the classical canon out the window. It was simple: there would always be more women than men whether on stage or off. In 1975 there was just one woman lighting designer employed in the UK, and major theatres rarely produced work by women. We created opportunities for women directors, designers, writers, composers, actors and technicians, enabling them to take up the work so often denied them. Our vision of theatre attracted a great variety of brilliant practitioners. We collaborated extensively with women writers, commissioned a large body of new work, and premiered plays from Europe and America. We explored many different theatrical forms, from epic and surreal to straight plays and cabaret. Newly commissioned music was integral to most of our shows, which looked at women in revolution, in history, at work, at play; women mourning, women laughing. We toured extensively in the UK performing in a variety of venues from, clubs, studios and community centres to large theatres and more traditional venues. We were invited to be part of international festivals in Holland, Italy and America. 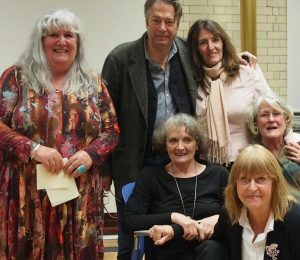 We organised play readings and workshops, went on marches and did benefit shows, spoke at conferences and gave hundreds of interviews. By 1993 – 18 years after we began – we had produced 30 major shows. And by then, the political environment and arts funding regimes had changed dramatically. We felt our ability to produce the kinds of plays we wanted to, with the production standards we believed in, had been compromised. So we decided to stop producing plays. "Remember your excitement at for the first time having a play written specifically for you. And mine at for the first time writing a play specifically for a company. Thank you for the energy, exchange of ideas friendship and a lot of sheer delight." "One of the leading political theatre groups in the English-speaking world..."
"Monstrous Regiment has always been remarkable for the challenging, disturbing and often artistically brilliant quality of its work..."
We’ve created this website to share and celebrate the aims and achievements of Monstrous Regiment. 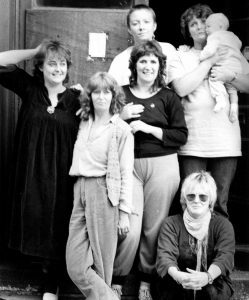 Established in the buoyant 1970s and surviving into the 1990s, it was one of the most influential feminist theatre groups of its time. Its story belongs to that period when the women’s movement had a strong voice and impact in the arts. It’s a story we think is still relevant today. And who are ‘we’, the present company? Katrina Duncan, who joined in the late 1980s; and Gillie Hanna and Mary McCusker, who’ve been with it since the beginning. The same was true of Chris Bowler, until her death in 2014. Much of the website is based on the company’s own archive, the materials filed away in our office over the years. There are the letters to bookers and funders, the legal documents, all the words that had to enter the public arena before we produced a play. There are publicity materials and photographs; the touring schedules and venues, and the names of everyone who worked with the company. We thank them all for their valuable contributions. Our company archive is now held at the V&A’s Theatre and Performance Archives in London. What’s on our website is only a small proportion of what’s there. We’re grateful to the V&A for allowing us full access to the materials before they’d been catalogued, and to the staff there for their help and advice. And thanks to them also for hosting an archive launch party in 2016. 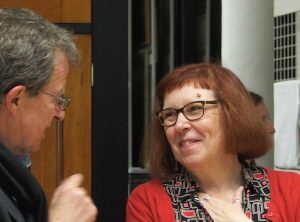 It was a great occasion with many past members and academics mingling over drinks. 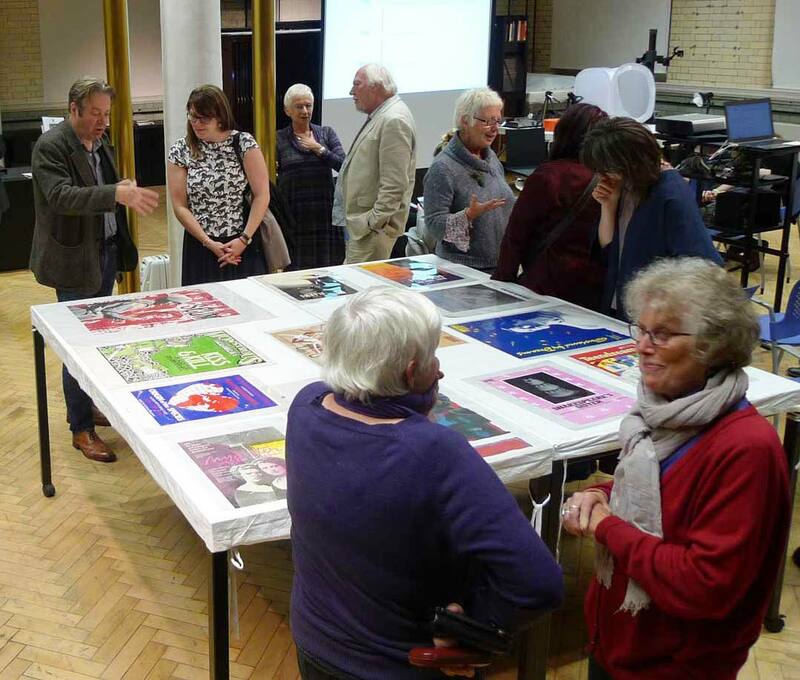 There was music, slide shows and the chance to examine some of the collection. We were a generation who wrote documents on typewriters and took photos with camera film. Our archive materials reflect that. To bring them into the digital age has been a huge task for our archivist, Russell Keat. He has scanned thousands of pages and photographs, tracked down missing material, and organised the digitization of music recordings. With technical support from others, he’s prepared all of this for the website. We thank him for his amazing dedication to the project. The website has two other major sources. In 1991, Monstrous Regiment: A Collective Celebration was published. It included Gillie Hanna’s analytical history of the company, which we’ve reproduced on this site. And in 2016, we joined forces with Unfinished Histories for an extensive interview of Gillie and Mary. It created a present day record of our thoughts and feelings about the early years and the period since our last production. We’d like to thank Unfinished Histories for this, and for the inspiration their own invaluable website has provided for us. There are thirty productions on this website, all of them stories with women at their centre. They reflect life with all the complexity, sadness and humour that being alive involves. They only scratch the surface of the stories waiting to be told. We hope this website conveys our unending passion for theatre and helps to bring some of the past into focus. It’s important to document history, to ensure the fragments are there to be understood. May it prove a valuable resource for a new generation who are finding their own theatrical voice, as well as for academics and theatre practitioners. "... Monstrous Regiment has made an important and lasting contribution to feminism and to the British theatre in general."